I am at a crucial decision point in my life. I need to decide if I should play it safe or take a real risk. In my heart I know the risk is where I should be headed. I hear all the hype about elevating yourself by aligning yourself with successful people and I know it is true. I have known this since I was a child. Who didn't hear "you are who you hang out with" from a responsible parent growing up. So I know I need to move. The problem is I am self-admittedly not good at risky business. I am not talking about eating at a sushi place in a strip mall type of risk here. I am talking about life-altering, from this moment forward everything will be different risk. New environment, new people, and new, unfamiliar responsibility is the stuff that I'm pondering. Helpful friends ask insightful questions like, "is your current situation allowing you to achieve all you believe you are capable of?" It did not take me long to answer. That made my decision obvious but it is not making it any less difficult to take action. Consider that question for yourself. Is your current situation allowing you to achieve your potential? Is it? If not does it have the potential to in the future? If the answer to both of these is no, you might want to consider some responsible risk taking yourself. The old saying goes, "where ever you go in life, there you are". So if you are not happy where you are at; in your personal life, in your professional life, in society... maybe it is time for you to make a meaningful change. What is it you want to do? Who do you want to be? 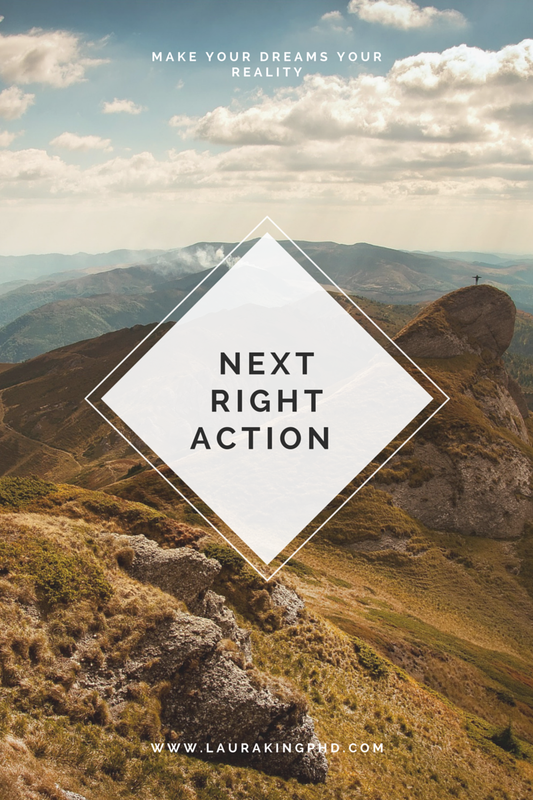 What is the next right action that can help get you there? Take that step. That is what responsible risk talking looks like. Evaluation, next right action, repeat. Very slowly, one "next right action" at a time, you will find yourself making progress and starting to live the life of your dreams. You will feel like you have taken control of your life back. One small step at a time, you will get where you are trying to go. And once you get there, there you are!